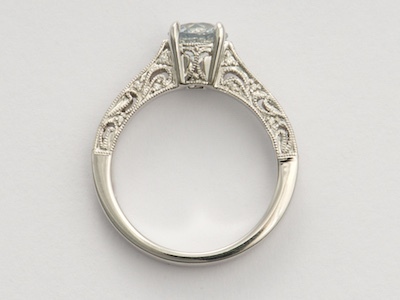 A white sapphire engagement ring is lovely from all angles thanks to a paisley filigree design, glittering diamonds and millegrain trim. 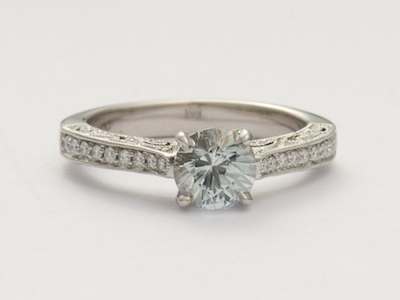 The 18k white gold band of this vintage style ring is accented with thirty-four round full cut diamonds. 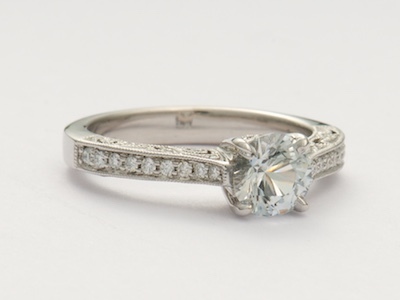 This collection of diamonds flanks a round white sapphire. 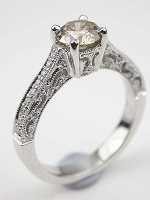 This is a new (vintage style) engagement ring. Other notes Wedding bands may be purchased separately. 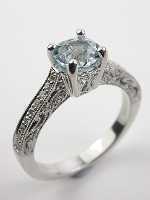 For a fitted matching band, please see item RG-2567wb. 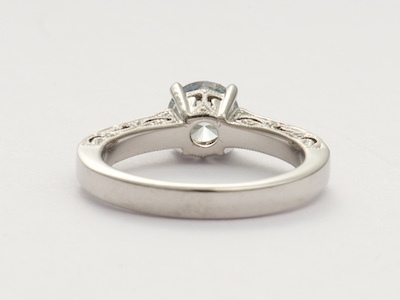 Or, for a complimentary wedding band, please see RG-3080 or RG-1747wb. 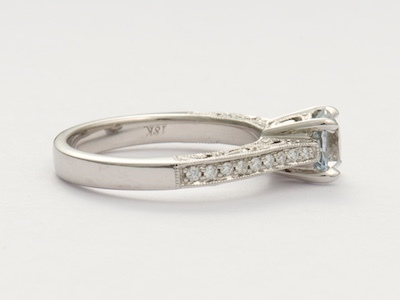 Other ring info For new rings like this one, the gram weight, diamond and gemstone carat weights, color, and clarity, as well as other jewelry details, may vary from the specifications and photos shown on this page, but are similar in quality.